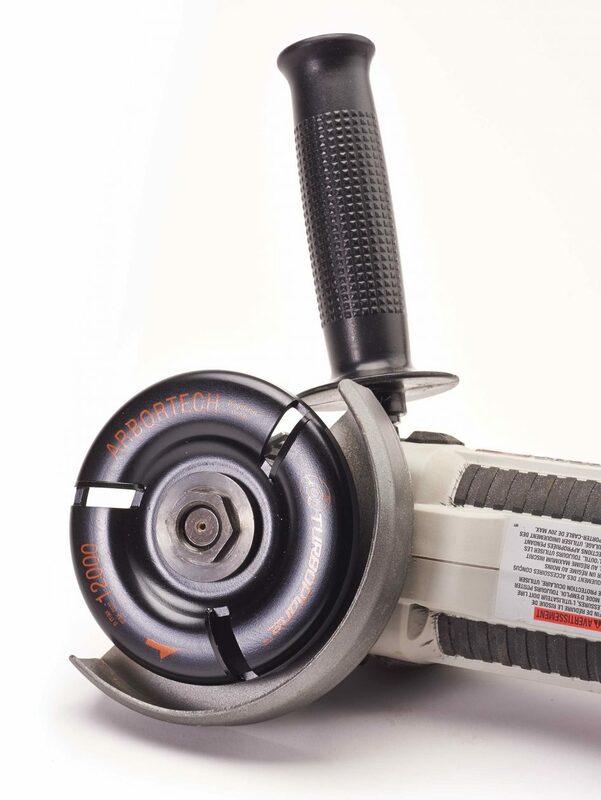 Remove the excess wood on a carving easily with Arbortech’s new TurboPlane. This tool, which comes in two sizes, attaches to an angle grinder and allows you to remove wood quickly and easily. I’ve used other tools that attach to an angle grinder and remove wood quickly, including Arbortech’s woodcarving disc and Holey Galahad, but they require a lot of effort to use. When I first tried the TurboPlane, I set my feet firmly, grabbed the grinder, braced my shoulders and wrists, and applied the tool to the wood. I was pleasantly surprised at how little resistance I felt as wood sliced off the blank. This tool moves wood without causing wrist, arm, and shoulder fatigue. I use the large TurboPlane to remove excess wood and use the smaller one in tighter areas. Just make sure the blank is firmly clamped down so you can use both hands on the angle grinder. The full-size TurboPlane is available for $159, and the Mini-Turbo is available for $139. For more information, contact Arbortech, 866-517-7869, www.arbortech.com.